America Lost and Found: The BBS Story–a Blu-ray box set detailing the cinematic exploits of Bob Rafelson, Bert Schneider, and Steve Blauner, the three men responsible for the hit pop group known as the Monkees. But their accomplishments in the field of music were just the beginning, as they pooled their considerable wealth and formed BBS Productions (Bob, Bert, and Steve), a close-knit community of filmmakers dedicated to launching a Hollywood revolution during the late ‘60s and early ‘70s. With young talent such as Jack Nicholson and Peter Fonda on board, BBS Productions quickly established itself as a production company dedicated to new faces and new ideas. At the forefront of the New Hollywood movement of the 1970s, the works of BBS would later help to shape the independent film boom of the ‘80s and ‘90s. This six-disc collection includes their output from 1968 to 1972, including two movies making their first appearance on any kind of home video format. As you might expect, you can order America Lost and Found: The BBS Story from Amazon. By doing so, you’ll save nearly $40 off the list price, which is a great discount considering that you’re getting 691 minutes of cutting-edge greatness. Below, I’ve listed all the films found on this six-disc box set. In addition to a synopsis of each motion picture, I’ve also included a breakdown of any extras you might expect to find. Head (1968) – Mickey Dolenz, Davy Jones, Peter Tork, and Michael Nesmith were the Monkees, a successful pop group put together specifically to play a not-yet-discovered pop group on TV. The idea worked, and the success of the series led to the creation of this trippy film combining concert performances with antiwar messages, satirical content, and plenty of pop culture references. It’s a bizarre journey to be sure, but it’s also one of the brightest and most overlooked films of the 1960s. 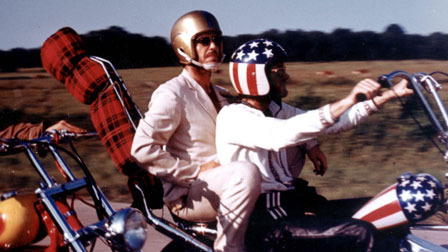 Easy Rider (1969) – The epitome of counterculture cinema, Easy Rider features the directorial debut from Dennis Hopper. He and Peter Fonda are a couple of bikers smuggling drugs into the U.S. and looking for the spirit of America along the way. Jack Nicholson plays the alcoholic ACLU lawyer they pick up on their odyssey, and his character waxes poetic about the meaning of freedom and why it scares the hell out of so many people. With an innovative soundtrack and editing style, the future classic capped things off with an ending that remains achingly poignant even today. Five Easy Pieces (1970) – Jack Nicholson explodes on the screen as Bobby Dupea, a man born into privilege who now works in the blue-collar surroundings of an oil field. When he learns that his father is dying, Bobby decides to return to the family home and make peace with the old man, bringing his simple, pregnant girlfriend (Karen Black) along for the ride. Themes of alienation comes early and often, and Nicholson’s fiery performance manages to raise the film to an even higher level. His frustrated showdown with an apathetic waitress still packs a counterculture punch after 40 years. Drive, He Said (1970) – For this first time, this directorial debut of Jack Nicholson is now available for home audiences. Based on the novel by Jeremy Larner, the film details the sexual exploits of a college basketball player during the early ‘70s, all the while using the turbulent times as a backdrop to something greater. Filled with comedy and performances from such actors as Bruce Dern and Karen Black, the film remains an important part of the BBS family and counterculture filmmaking in general. A Safe Place (1971) – Another film debuting on the home video market, A Safe Place stars Tuesday Weld as a flower child living in New York City who constantly retreats into memories of her past. An experimental piece by director Henry Jaglom, the film also stars Jack Nicholson as an ex-lover and Orson Welles as a Central Park magician who serves as a father figure. 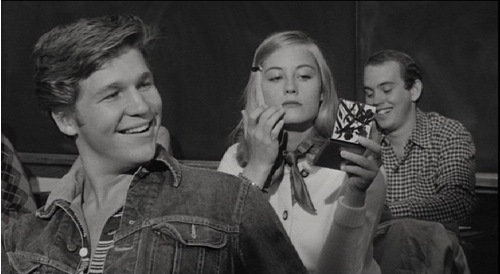 The Last Picture Show (1971) – Based on the Larry McMurtry novel about the dying West in 1950’s Texas, The Last Picture Show presents director Peter Bogdanovich’s vision of an America where traditional values crumble into ruins and drag down anyone who happens to be nearby. Cybil Shepherd, Jeff Bridges, and Timothy Bottoms are the young leads facing an empty future in a dead-end town, and the rest of the magnificent cast includes Ben Johnson (in an Oscar-winning role), Cloris Leachman, Ellen Burstyn, Eileen Brennan, and Clu Gulager. An absolute highlight of American cinema. The King of Marvin Gardens (1972) – Jack Nicholson and Bruce Dern star as brothers who reunite in a bleak Atlantic City just in time for tragedy to strike. Bob Rafelson directs Nicholson again following the success of Five Easy Pieces, and the film also co-stars Ellen Burstyn and Scatman Crothers. 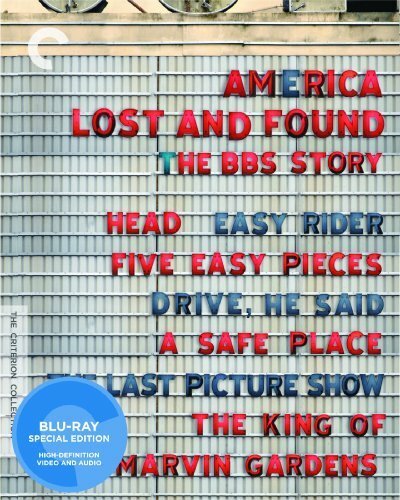 If you’re looking for a Blu-ray box set that really says something about the state of the U.S., then be sure to buy America Lost and Found: The BBS Story from Amazon. You’ll get seven fabulous motion pictures that influenced future generations of filmmakers, and you’ll also save a few bucks in the process. As for us, we do receive a small commission for sending you to Amazon, but that doesn’t add a thing to your final price. This entry was posted on Wednesday, November 17th, 2010 at 6:35 pm and is filed under Amazon Deals, Good Movies. You can follow any responses to this entry through the RSS 2.0 feed. You can leave a response, or trackback from your own site.